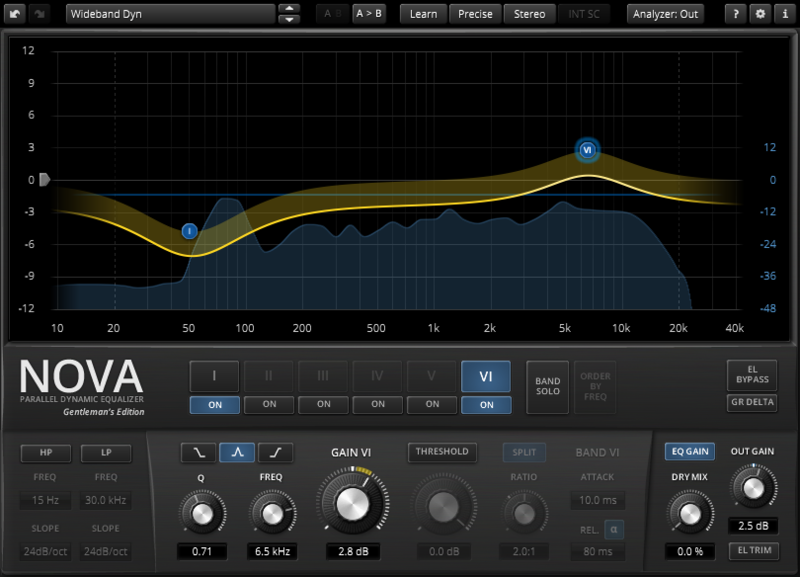 NOVA GE is a parallel dynamic equalizer. 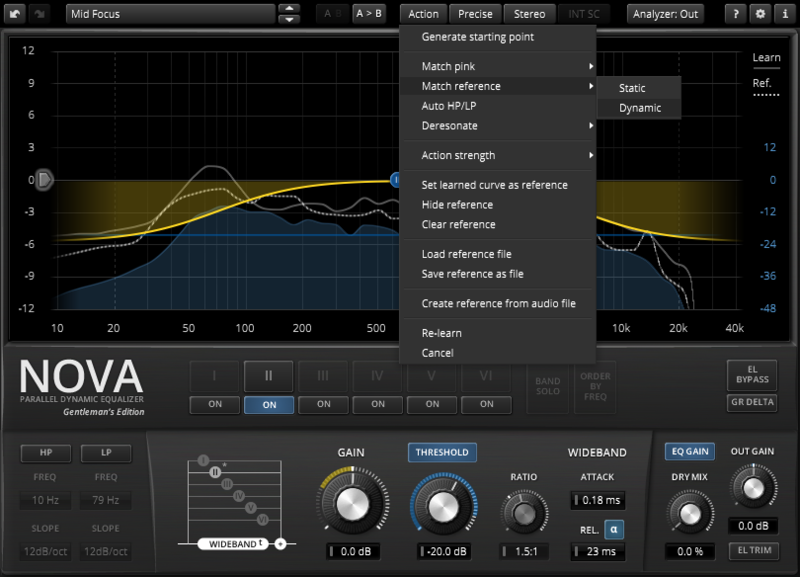 Appearing in the familiar layout of a parametric equalizer, the plugin also includes a full featured dynamics section enabling NOVA to cover an impressively wide range of applications. 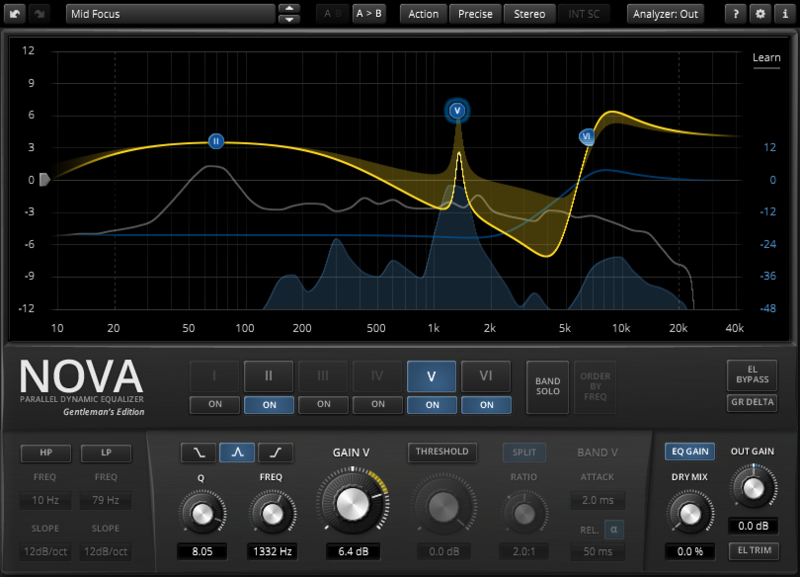 Be it a master lacking density, the drum bus asking for more crispiness, or a sibilance problem in your perfect take: NOVA has an elegant answer. 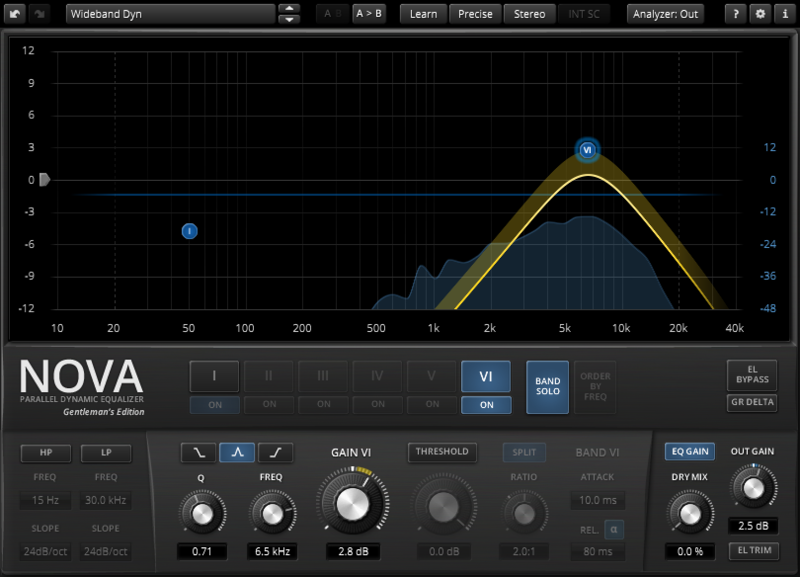 A user friendly WYSIWYG drag and drop display paired with a classic “knob” interface gives quick and smooth access to the various parameters driving NOVA’s powerful signal processing. 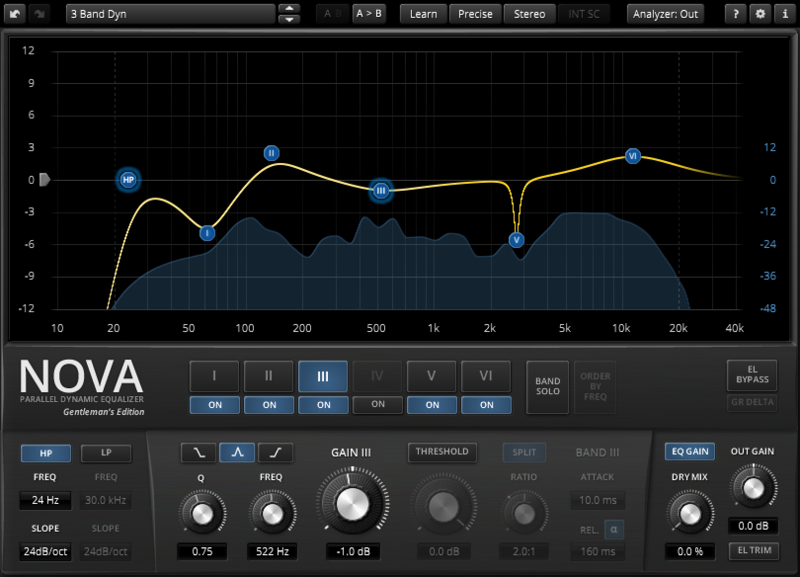 Elaborate equal loudness functions help finding the optimal setting without getting distracted by loudness differences. 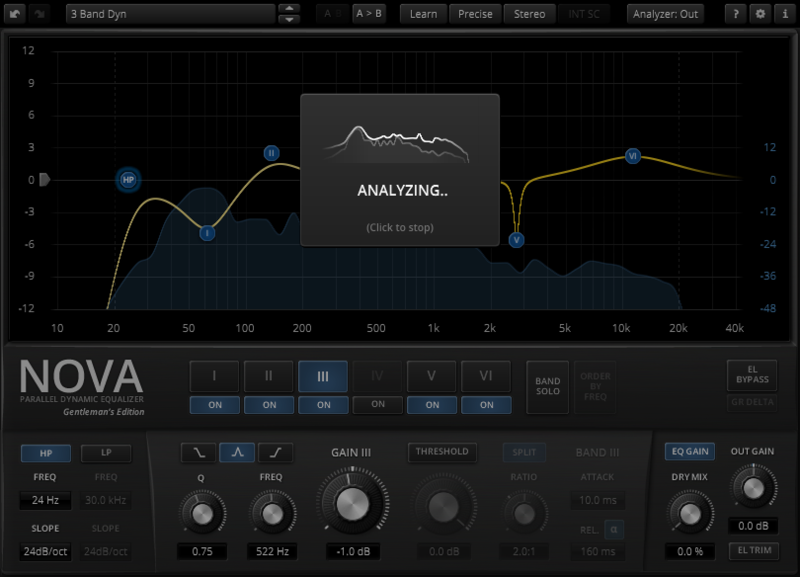 An extensive set of “Smart Actions” automatically generate sensible starting points according to the input; and further allow matching the spectra and dynamics matching of two different songs, approximating a pink noise distribution, or automatically finding and taming excessive resonances in recordings. 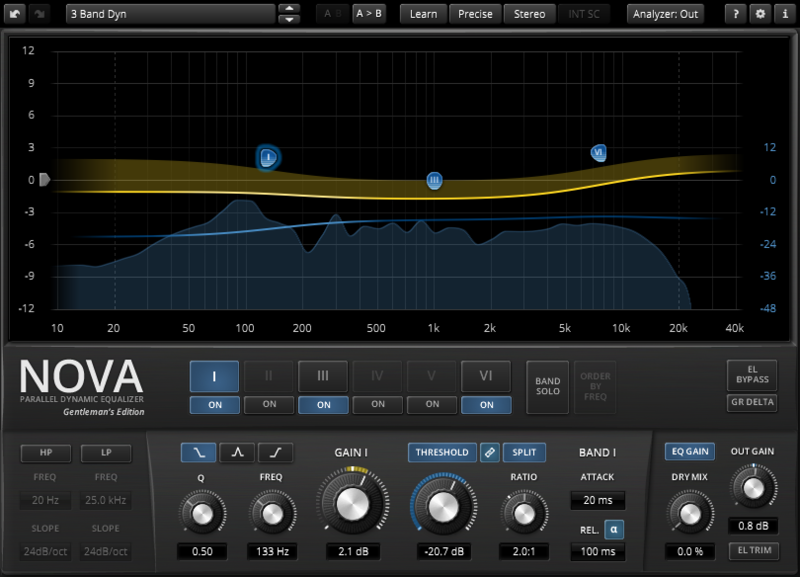 NOVA GE includes a total of six dynamic EQ bands, each featuring high grade filters and independent dynamics processors being able to operate in linked, split, or various other configurations. 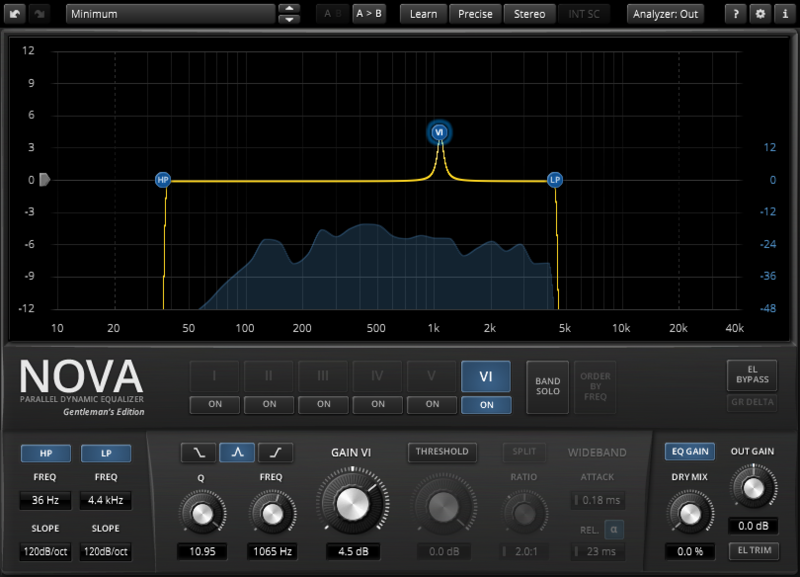 High quality modes “INSANE”, “-PRECISE” and “-INSANE”.